With the party season well and truly upon us, it’s natural to want to find some new favourite pubs, bars, and clubs. Hatfield has an incredible nightlife just waiting to be discovered. Whether you want to dance the night away, relax with a few drinks or enjoy a night out with a twist, you’ll find the perfect place for you. 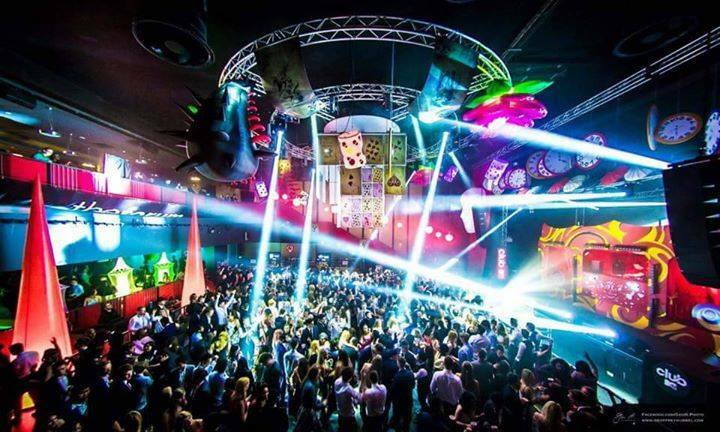 Here are some of our favourite Hatfield nightspots – plus somewhere to stay for the night! The Forum has to be one of the most well-known nightspots in Hatfield, and is one of the biggest nightclubs in Hertfordshire as a whole. The Forum hosts everything from live music events to club nights – and if you just want a drink you can sit in the chic, modern bar and enjoy a few drinks. In fact, it makes a great location for a first date. If you love to party, then be sure to sign up for email updates so that you don’t miss out on the latest events. If you want to enjoy a night out at a traditional British boozer, then look no further than the Harrier. This has been a firm favourite with the locals for many years, and it’s not hard to see why. With a great ale selection, a friendly atmosphere and of course, a legendary karaoke competition, it’s a really great place to just relax and have fun. With Sky Sports, darts, and pool on offer too, you needn’t head anywhere else! Another great pub in Hatfield is the Harpsfield Hall. This great local haunt is far from your typical pub. Stepping inside, you’ll feel like you have just arrived at an upmarket city bar – but the great prices and relaxed atmosphere make it a place anyone can go to enjoy themselves. Most people come here for the cocktails and great midweek deals. This pub really does have it all! For a night out with a fun twist, try Shisha Shake. You and your friends will be able to sit back and sample some of the finest shisha in Hertfordshire. You can enjoy some great food here too, as it is situated in the same building as the beloved local Roti House. Many people like to head to a shisha lounge to get a night out started, or as a quieter place to relax with friends. Of course, with a fully stocked bar, this night out will be anything but dull! If you’re planning a truly epic night out in Hatfield, then why not book into a hotel for the night? Beales Hotel is one of the most popular hotels in Hatfield. It has a great central location, making it ideal for those who don’t want to travel far once they’ve enjoyed a drink or two. It’s worth mentioning that Beales has a great bar of its own. So if you’re tired or the winter weather is looking a little foreboding, why bother heading out when there’s fun to be had a few steps away from your room? Staying in is the new going out, didn’t you know?